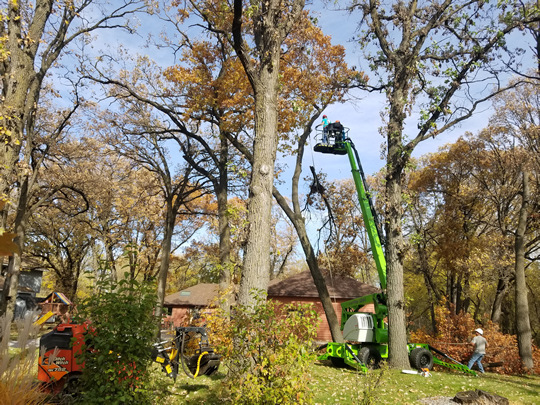 Pioneer Tree Service is fully insured, full service professional tree care company that offers quality tree trimming and removal services, insect and disease treatments, storm damage clean-up, tree planting, stump grinding, and more to homes and businesses in Maple Grove. Are you in need of firewood for your fireplace or wood burning furnace? Pioneer Tree Service has clean, dry Red Oak firewood available. Call (763) 238-5254 to schedule a delivery to your Maple Grove home.